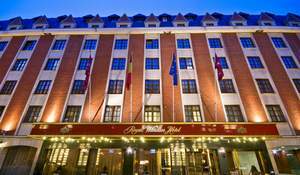 This 5-star hotel is the ideal combination between work, recreation, relaxation, rooms & suites tastefully decorated with many extra conveniences. 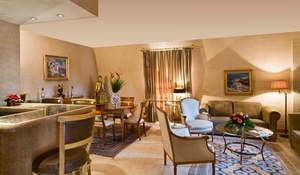 With 266 rooms, including 33 suites and 1 royal suite, the hotel guarantees to provide attentive, personalized service. 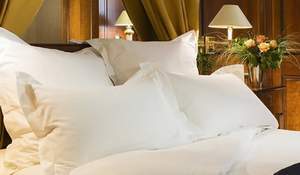 All rooms are air-conditioned and feature Portuguese marble bathrooms with plush cotton bathrobes, upscale toiletries, and hair dryers. 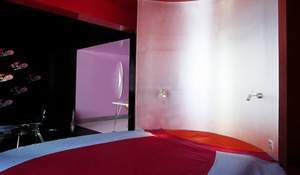 The rooms are fitted with colour television with international programming, 2 direct-dial telephones, 2 data-ports, high-speed Internet connection and interactive televisions. 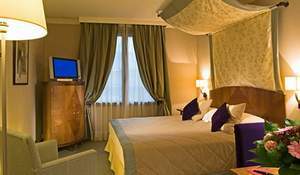 In addition to the listed facilities all the our rooms feature an interactive TV and two telephone lines. 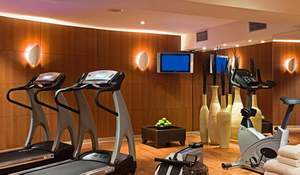 All our guests benefit from a free access to the fitness center and sauna. 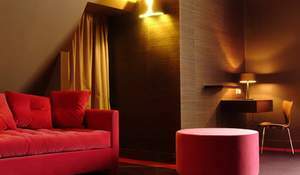 Superior rooms - These rooms are decorated in bright modern design and includes the latest technology. 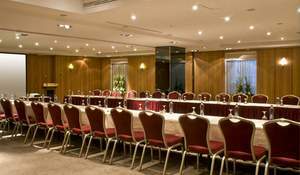 Business Premiere - The combination of sheer elegance with the latest sophisticated equipment will prove to meet all your requirements whether your stay is for business or pleasure. 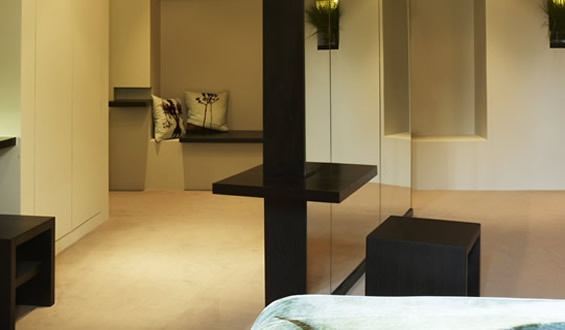 Fashion Rooms - A selection of guest rooms have been designed by famed Belgian Fashion designers: Marina Yee, Gerald Watelet, Jean-Paul Knott and Mademoiselle Lucien. «Chutney’s » bar-restaurant is open 7 days a week and offers you for lunch or dinner a diversified menu with worldwide flavours. 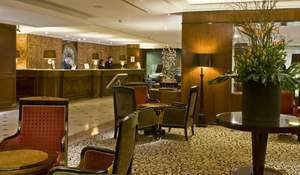 « Waterloo Bar » is a piano-bar open every weekdays, an ideal place to start the evening. 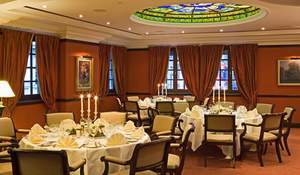 From 3 p.m. to 5.30 p.m. every day the Royal Teatime is served in the Waterloo bar. The Royal Teatime consists of a selection of rare and high quality teas, finger sandwiches, traditional scones and incredible pastries made by our pastry chef Sophie Tordoir. For those who want to keep dancing all night long, the Duke's night-club is open from 11:00 pm. Room service is at you disposal 24 hours a day. 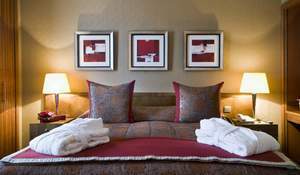 All rooms are provided with 24hour room service and there is a non-smoking floor available. The impeccable personalized service completes every guest wishes. 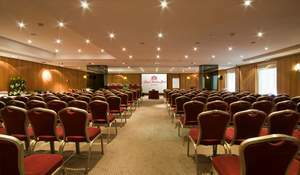 Large seminar rooms-up to 180 people in the brand new conference & business centre will meet all wishes of modern businessmen. 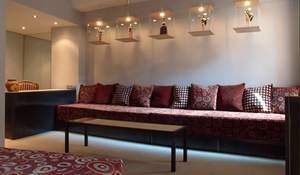 Most of the rooms provide natural daylight; all are soundproofed to and air-conditioned. 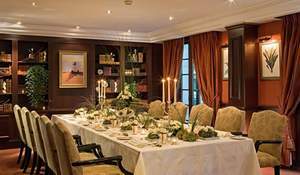 Besides the three main meeting salons, the multipurpose Westminster, Duquesnoy and Warwick, there are also seven boardrooms, two private dining whose catering is provided by the well regarded Les Quatre Saisons, and a full-service business centre. 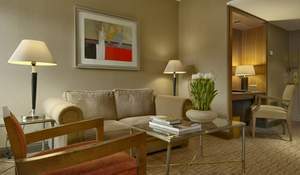 High class and a top level of hospitality go hand in hand. 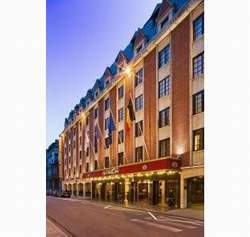 The fine cocktail and dining establishments make the hotel an ideal choice for the discerning visitor to Brussels, for business or for leisure. Original, vibrant, trendy are just a few words for an accurate description of this stylish outlet. Allergy-Free Room Available,Wi-Fi/Wireless LAN,Luggage Storage,Fax/Photocopying,Shoe Shine,Massage,Valet Parking,Safety Deposit Box,Express Check-In/Check-Out,Elevator,Internet Services,Ironing Service,Breakfast in the Room,VIP Room Facilities,Dry Cleaning,Laundry,Babysitting/Child Services,Business Centre,Non-Smoking Rooms,Newspapers,Fitness Centre,Sauna,24-Hour Front Desk,Bar,Meeting/Banquet Facilities,Room Service,Pets Allowed,Restaurant,Parking ,This map is for guidance only. vanilla tours is not responsible for any possible hotel location errors.